IF we buy 50 vouchers to Bernie's. THEN for the rest of the year Bernie’s will offer a free cup of coffee to anyone unemployed. If 50 vouchers are sold, then for the remainder of 2012 Bernie’s will offer a free cup of coffee to anyone who has lost their job and is on unemployment benefits. 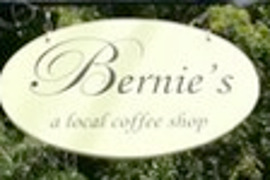 For every additional 50 vouchers that are sold (ie: 100, 150, 200...), Bernie’s will offer free coffee for the unemployed for an additional week, up until January 31, 2013. You can buy as many vouchers as you like - there are no restrictions. Your vouchers will never expire. You can spend them on anything that Bernie’s sells (drinks, but also tasty pastries and breakfast sandwiches). You will get a voucher which you can either print out and bring to Bernie’s, or you can present your voucher right from the mobile web browser on your phone. You need to use the entire $5 value at the same time. Once we hit the goal of buying 50 or more vouchers, if you’re getting unemployment benefits you can claim your free cup of coffee by bringing in proof of unemployment. For example, this can be your unemployment beneﬁt award letter (the letter that arrives by mail after your initial unemployment claim ﬁling... if you no longer have it, you can request an additional copy from your unemployment agency), or the most recent check stub from your unemployment beneﬁts (if you receive your beneﬁts check by direct deposit, you may be able to print out a check stub from your unemployment agency website). And for those of you who are particularly thirsty, Bernie's is offering one free cup of coffee per person, not an all-you-can-drink coffee binge. :) Have a great holiday season! Bernie’s is a Noe Valley institution. Bernie’s makes every effort to be a leader in sustainability. This is the second Carrotmob at Bernie’s - in 2009, we mobbed Bernie’s to help them go even greener. Now they’re taking it to the next level. Already active in the local community, Bernie’s wants to help out those who are struggling in these tough economic times. If we support Bernie’s, Bernie’s will give a free cup of coffee to people who are out of work. We think Bernie’s is AWESOME. But don’t believe us, check out what Bernie’s fans are saying on Yelp. Jennifer K. writes, “Oh Bernie's, how I love thee....your drip coffee and lattes are my favorite. A true highlight in my day. Love the staff and the overall vibe!” Store hours are 5:30am-8:00pm daily. This campaign has ended successfully! In a Carrotmob campaign, a group of people offers to spend their money to support a business, and in return the business agrees to make an improvement that we care about. We are called Carrotmob because we use the "carrot" instead of the "stick." Traditionally, people who wanted to influence businesses would threaten or attack them. We believe people can have more influence on businesses by giving them a positive incentive to change: our money. How many vouchers can I buy? The sky’s the limit. Buy as many vouchers as you like! Your voucher never expires, you can redeem it any time. It’s that easy! Simply present the voucher on paper or on your phone to the cashier. Do I have to buy coffee with my voucher? You can spend your voucher on anything in the cafe. Bernie’s sells great pastries and breakfast sandwiches alongside its delicious coffees and teas. How do the unemployed claim a free cup? To get a free cup of coffee, you must bring in proof of unemployment. For example, this can be your unemployment beneﬁt award letter (the letter that arrives by mail after your initial unemployment claim ﬁling... if you no longer have it, you can request an additional copy from your state unemployment agency), or the most recent check stub from your unemployment beneﬁts (if you receive your beneﬁts check by direct deposit, you may be able to print out a check stub from your unemployment agency website).